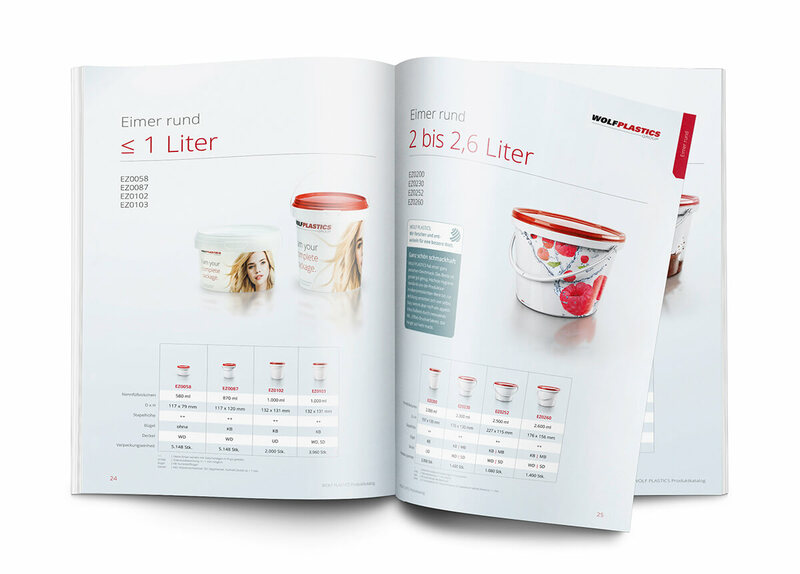 Best quality, continuous development, social and ecological responsibility: This is what this catalog is about and the goals we have set ourselves and have already achieved in some cases. 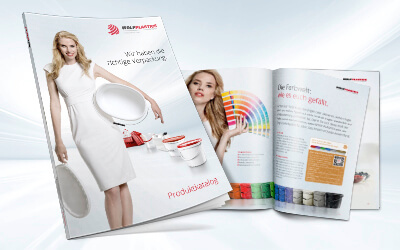 Take a look at the world of WOLF PLASTICS with us. We want to do more than just manufacture containers that can be filled, we want them to fulfil individual requirements. Whether it’s a quick delivery of top quality standard products or individually tailored solutions for every need. We want to save the environment from as much stress as possible, our production is CO2-neutral, we go full steam ahead with innovative recycling methods and we encourage our customers to reach for resource-conserving alternatives. A world full of freshness and taste. Appetising exteriors and high standards of hygiene are the ideal conditions demanded by the food industry. Attractive in-mould labelling (IML) and logistical benefits make plastic packaging increasingly popular in the food sector. Sustainable economics for a better World. The first impression still counts when it comes to appearance. It takes only a tenth of a second for us to decide whether we like something that we see. If the product and its appearance fuse, there are many advantages and not just visually. „Strong“ performance – for a lighter world. The new „Strong” from WOL PLASTICS is packaging and transport solution all in one – and precisely the right packaging for many products. This lightweight with its maximum volume of 30 litres has all the good characteristics of a „normal” bucket. Thanks to a special filling material it has on the one hand a very low net weight but on the other is extremely sturdy. The „Strong” scores particularly highly for dispatch. Thanks to the ergonomic shell grips on the sides, this bucket is easy to carry and comfortable to stack while being very robust. The „Strong” is of course just as strong in the food sector and has the same high quality as its heavier counterpart. 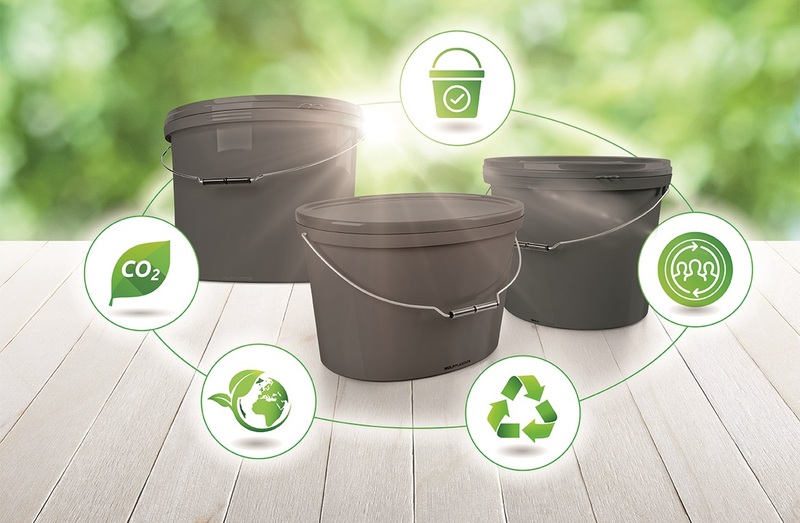 WOLF PLASTICS leave the choice to you: Every bucket not intended for use in the foodstuffs sector is also available in its grey recycled version. It looks every bit as good as a white bucket because of course a container made from recyclate is also IML-capable. So: For a white vest in answer to the climate question just turn to the grey version. In-mould labelling (IML) for a more beautiful world. Many talk about sustainability. But caring and sensitive handling of raw materials and the environment is now even more important than it has ever been, particularly in the plastics industry. WOLF PLASTICS is well aware that it takes a lot of small steps to reach a major goal.